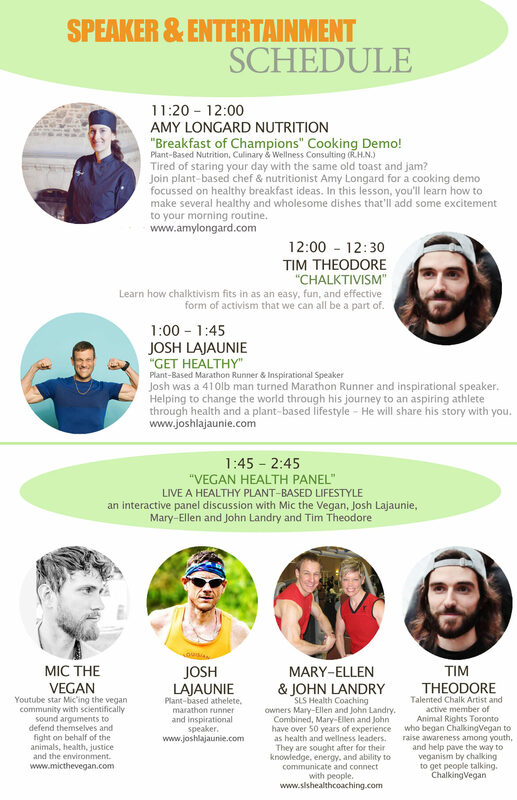 Our Speakers and Entertainers are coming from all over Canada and the USA to give you the 1st Annual Muskoka Veg Fest! Come early and grab a seat - you're not going to want to miss this! 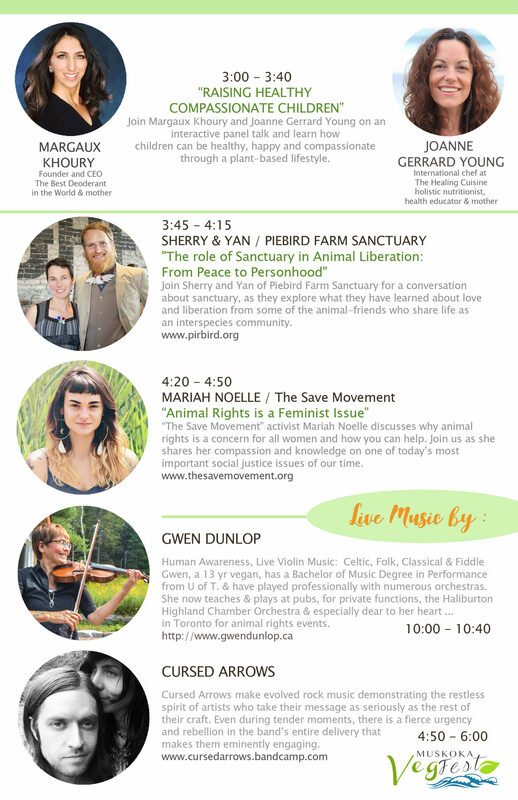 We present to you ~ a fun day, filled with live music, amazing speakers and a Veg Market filled with incredible food and products you are going to want to take home with you!